Oxford, Bodleian Library, A 1.11 Art. Seld. Bod-Inc. A-100 and A-392. 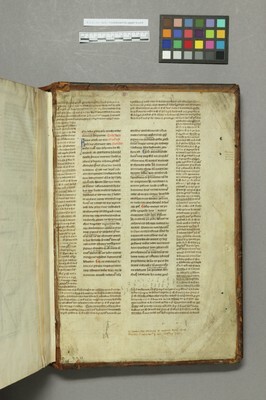 Two leaves from the same manuscript, now serving as pastedowns to the upper and lower boards of the host volume.